Drawstring waist pants that fits a 28 - 50 inch waist. Made from 100% cotton which makes these pants very comfortable. A very breathable material, so they are even good in summer! 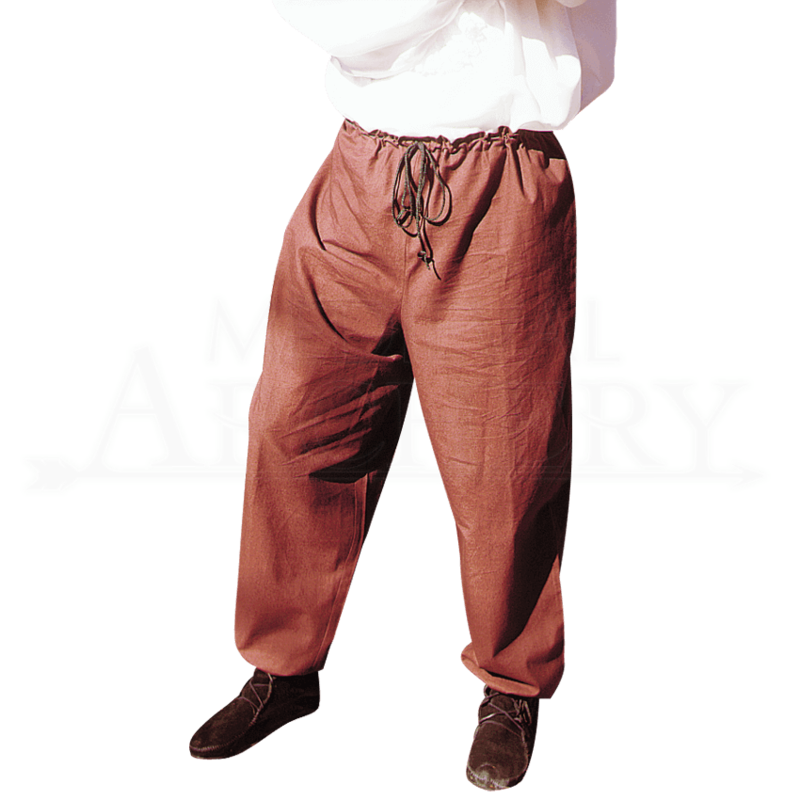 Wear them loose, wrap the legs with cord, or stuff them in your boots, these pants go with most period outfits. Whether you are a Peasant, Pirate, or Knight, these pants should be a basic staple in your medieval wardrobe. Has a Drawstring Waist for Adjustability.